RRV or the NZ 189 visa? 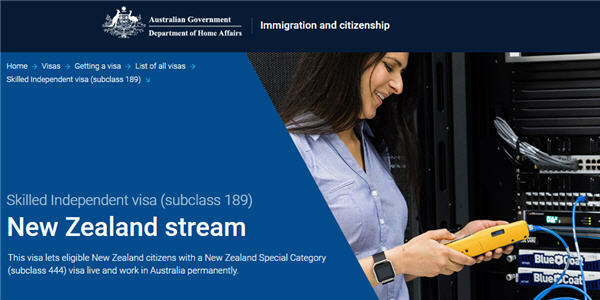 The New Zealand Stream 189 visa is an Australian permanent visa for New Zealand Special Category Visa-holders. Of the 5,627 visas granted, 2,584 were to primary applicants and 3,043 were secondary applicants. At 30 September 2018 there were 6,584 (51%) applications pending. Interestingly, the highest number of applications (1,091) were processed in June 2018, in time for the end of the 2017-2018 financial year. meet the standard health and character and security checks. Find out more about the eligibility criteria, in particular income exemptions you can’t claim. 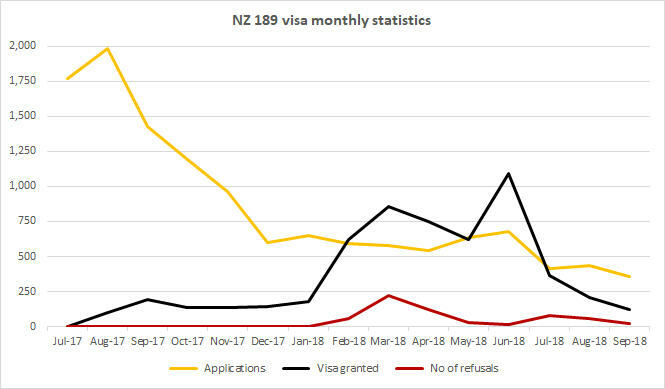 Number of New Zealand stream 189 visas processed each month between 01 July 2017 and 30 September 2018. (Source: Department of Home Affairs). © Oz Kiwi Association Inc. All rights reserved.